Welcome to MLPG.co's dontaion page! 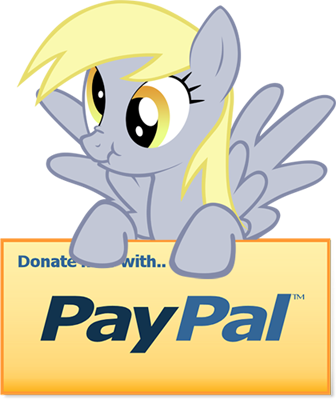 Feel free to click on the big old DerpyPal image to donate what ever amount you please. Anything will be much appreciated! All donations directly support MLPG.co and server cost of everything hosted here. If you would like to be added to the donors list please let me know who you want to be listed as. Feel free to include a short message!